Cape Town – Finance Minister Malusi Gigaba is arguably facing the biggest challenge of his political career today when he delivers his first Medium-term Budget Policy Statement (MTBPS) in Parliament at around 14:00. The minister is in an unenviable position. South Africa finds itself in a perfect storm with GDP growth that risks touching on zero, a revenue shortfall that could come close to the R50bn mark, over-indebted state-owned enterprises (SOEs) plagued by scandals and a corps of public sector workers that demand wage increases well above inflation. 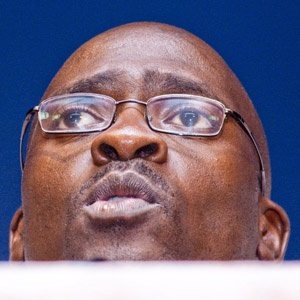 Many of these problems are not of his own making, although some may argue that the demise of SOEs started on Gigaba’s watch when he was appointed public enterprises minister in 2010 and allegedly meddled with board appointments. Be it as it may, the minister will need to perform an almost superhuman juggling act this afternoon. The demands are many. The business sector, investors and financially strained South Africans want a message that Gigaba is in firm control of the country’s purse strings. They’ll want to hear him talk tough on corruption and his reassurance that he has a plan to get South Africa out of the morass of dismal economic growth, unemployment and inequality. And then there are the ratings agencies, which are ready to pounce if the minister’s guarantees are not feasible. On the other hand, Gigaba is under considerable pressure from the likes of President Jacob Zuma, who seems hell-bent on pushing through with a nuclear build programme that has the very real potential to bankrupt the country. Then there are Gigaba’s colleagues in Cabinet, who demand more money for their departments although a number of them have poor track records when it comes to spending their budgets. Gigaba will also need to satisfy the lenders of South African Airways (SAA) who have been breathing down his neck for a capital injection to ensure the airline can carry on as a going concern. Funding for South Africa’s much mooted National Health Insurance scheme (NHI), poor university students and drought-stricken provinces is also part of the wish list. 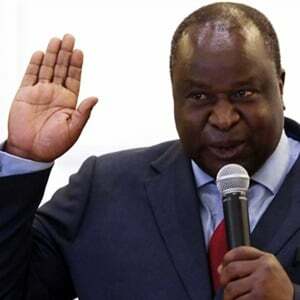 The minister has little space in which to manoeuvre, with national debt of over R2.2trn or 47% of GDP and a glaring budget deficit that could very well rise to over 4% of GDP. Gigaba will no doubt disappoint some quarters. Will it be Zuma with his unrelenting nuclear ambitions? Or will it be taxpayers, who will have to bear the brunt of future tax hikes? Or university students desperate for a reprieve from escalating tuition fees, or the millions of unemployed and poor South Africans weary of service delivery failures and empty promises of a better life for all? In his brief six months as finance minister, Gigaba has attempted to give ample reassurances that National Treasury under his watch will hold the fiscal line and not tamper with the budget priorities set out by his predecessor, the well-respected Pravin Gordhan. The minister lacks experience in the finance ministry and allegations that he may be captured like so many of his colleagues don't give any comfort. But perhaps South Africans should give Gigaba the opportunity to show his mettle this afternoon and allow him to be “his own man”, as one of his supporters asked of this journalist shortly after his appointment at the end of March.